I lived in Japan for about 15 months back in 2002 – 2003. I fell in love with the country, it’s people and it’s food… well for the most part. Some of the things I ate there means I will never wear the tag “culinary coward”. One thing I fell in deep adoration for, was well made sushi. I still dream of properly prepared and seasoned rice, toasted nori paper, fresh fish and yes… even large salmon eggs that are almost too salty and pop in your mouth. When DH and I moved back to the US, I was sad. I missed my sushi. I had been traumatized on a recent trip back home to Australia as I had discovered that someone had through it an excellent idea to put BBQ chicken in rice and nori. *shudders* And when I got to the states… well! Cream cheese? Really? In sushi?!? *gags* I was sad, despondent, and disappointed. Picture DH to the rescue! Shortly before L1 was born, DH set about learning the art of sushi making. He learnt how to make the rice the way I like it. 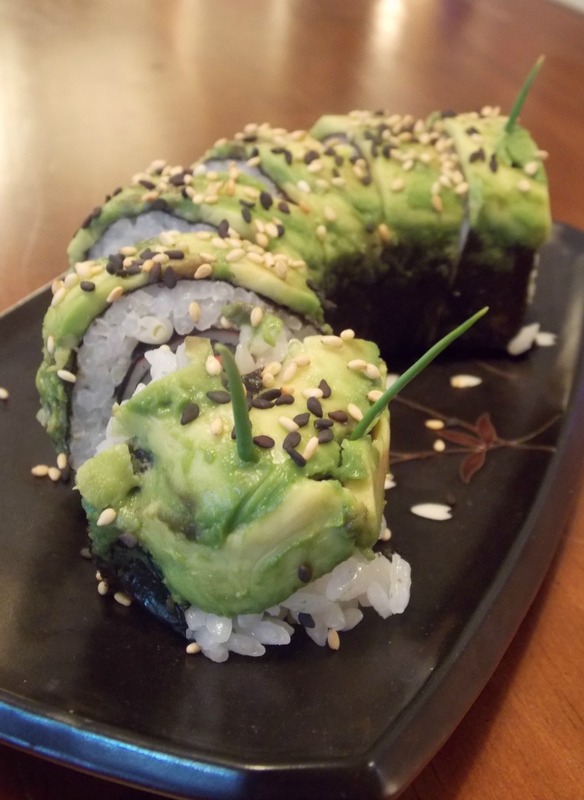 He made California roll after California roll – I was pregnant remember and had a morbid fear of eating fresh fish at the time – I know the error of my ways now. Anyways, that brings me to today. Today my husband made me some cute sushi! Well I think it’s cute! 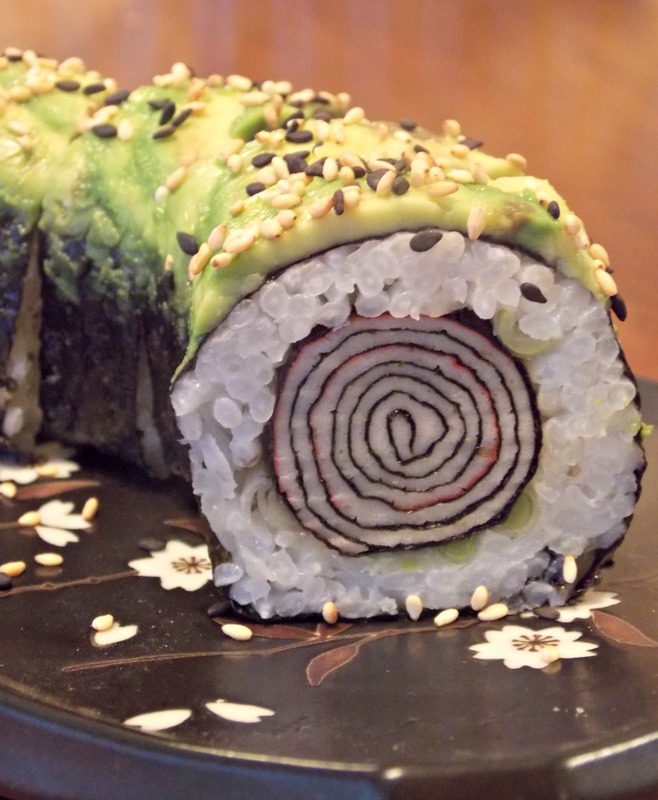 It is toasted nori paper (he toasted it himself), Nishiki sushi rice, some green onion and nori wrapped surimi. Not photographed was the dollop of fresh, real wasabi and the soy sauce. It was delicious and gone within minutes. And I appreciate the time and effort that went into this lunch for me!